UK lawn expert David Hedges–Gower offers training and consultancy, and has written a book: Modern Lawn Care. I was lucky enough to be able to ask David a few questions, and am now sharing his expertise on the blog for all you lovely readers. Larry: What is it that makes you interested in lawns? Why lawns? David: Ever since my teenage days as an enthusiastic golfer I have been obsessed by lawns and their many different roles in our lives. I believe that more can be done to make the most of our lawns across the country. So much so, that I written a book, ‘Modern Lawn Care’, which was ‘shortlisted’ at the GMG Awards. level and created unprecedented access to much-needed expertise. I have more than 39 years of lawn and turf experience and am a regular on BBC Radio and a favourite on the national horticultural lecture circuit. In 2004 I established my own successful lawn care company which I continue to run to this day. I train staff at Private estates, National Trust gardens all over the UK and am developing lawn care training courses too. It keeps me busy! David: There really are some exceptional lawn mowers out there for all sorts of budgets. 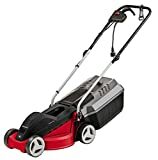 Many brands such as Mountfield and Bosch for example, have a wide selection of different types of mowers at very reasonable prices, with many electric and cylinder mowers starting from under £200. David: It really is amazing how technology and innovation have moved on so much and enabled us all to enjoy mowing our lawns with robots. Of course these are ingenious for those times when you simply don’t have time to mow the lawn and many if them really are great. However, I for one, enjoy using a walk behind mower, it is part of one the spring and summer is about and gives me great joy! Research has shown us how gardening is a real stress buster and this includes the mental and physical well-being that can be gained from mowing the lawn, so I see it as a trend which suits some but certainly not the hardy gardener. Larry: Can you give any simple tips for time-poor homeowners to keep their lawns healthy? David: The most important things is to have a 12 month programme that works for you and your lawn. To do this it is a good idea to start keeping lawncare records over the months and years to see how the weather etc effected your lawn and how you dealt with any problems, this will help you prevent problems in the future. At this time year, follow these tips below for a happy and healthy lawn! AERATION: If the weather is suitable, hollow-tine aerate your lawn when conditions allow and before the onset of dry weather. If you have great soil, slit and solid tine as well. SCARIFICATION: As the ground temperature begins to rise, this is a great time to prune your grasses and remove thatch and moss, but more importantly to ‘prune’ your grasses. We all know that pruning develops lateral growth, essential for thickening of lawns. FEEDING: If scarifying, apply a good balanced feed afterwards, this will allow new grasses to flourish once all the moss and debris has gone. Or simply feed anyway if you don’t scarify. A simple balanced lawn feed throughout the year is exactly what the lawn grasses enjoy. MOSS: If you are doing renovation or maintenance scarification, apply moss treatment and remember to do this after scarification not before, as you will achieve better success. DISEASE: Continue to be vigilant, changing weather means changing disease patterns. Thankfully, as weather improves, grasses get stronger, so there should be less chance of disease occurring. DEBRIS: Keep material, twigs, leaves, furniture, off your lawn as much as possible. SEEDING: If the temperature is rising, begin to sow seed, to take advantage of early spring sunshine! If its in the ground it will have a chance….if its in the box……!. WEEDS: Weeds will start to germinate as it gets warmer and you can apply selective herbicides now if you want to use them. Stick to improving your grass health and you may not need to. 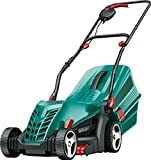 Larry: What is your personal favourite lawn mower? David: I’m not sure I have a favourite as there are so many beautiful looking. My favourite mower is one that’s keeping a sharp blade as often as possible as it’s the most vital bit of maintenance we have to do. Whether its Ferrari red or Aston Martin green, I like one that’s kept nice and clean (on top and underneath), cuts at the right height and never gets put to bed unless absolutely necessary. Follow David on Twitter, Instagram, and on his website.